Tannington is a familiar name from the sides of big lorries in East Anglia, because it is home to a major agricultural distribution company, But if you have ever jockeyed for position on a busy road with one of these beasts, the name will have given you quite the wrong idea of the place. Tannington is a backwater of a backwater, out on the long curving road that narrows beyond Worlingworth, before becoming a track connecting the churches of Tannington and Bedfield. 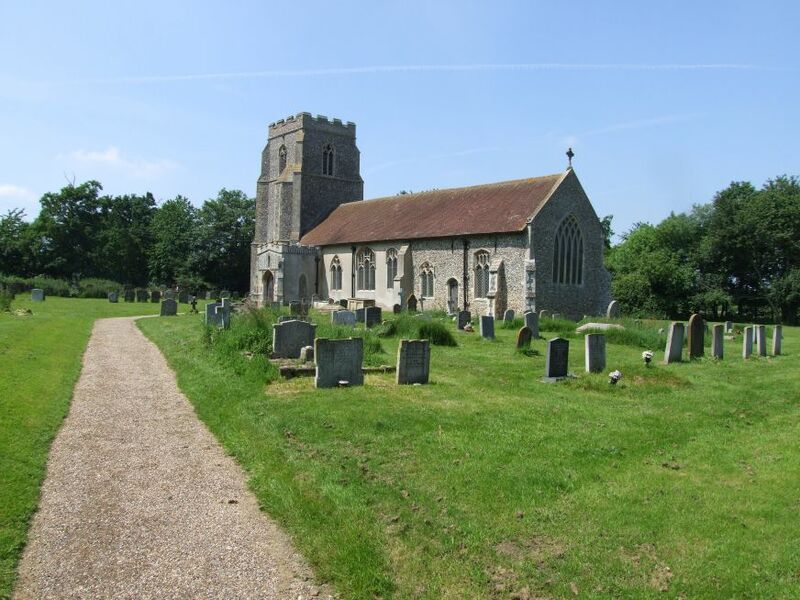 On a sunny day, the graveyard is as pretty as any, wide and open with St Ethelbert's rather stubby little shape in the centre, and only an old farmhouse for company. 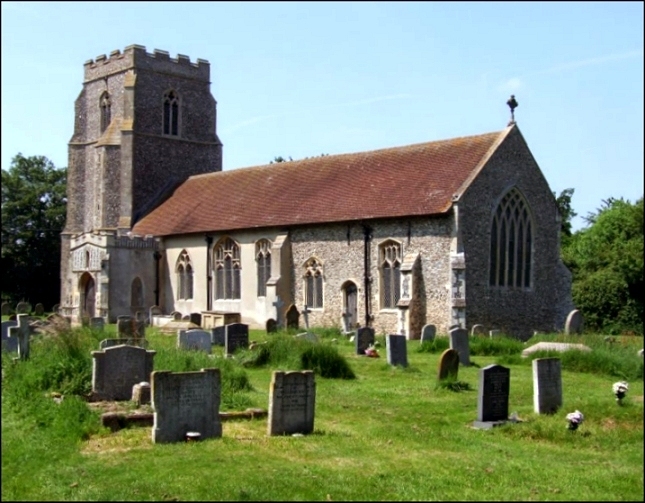 The church appears to be one long building from outside, with only rendering to differentiate the nave from the chancel. In fact, there will be something else inside, as we will see. The modern roof running the length of the building is handsome enough, but you can't help thinking how lovely this church would look if it was thatched. Simon Cotton tells me that there was a bequest for the porch in 1451, by which time this building must have looked pretty much as it does now, apart from the roof. The porch has been restored recently by Adnams, no less. 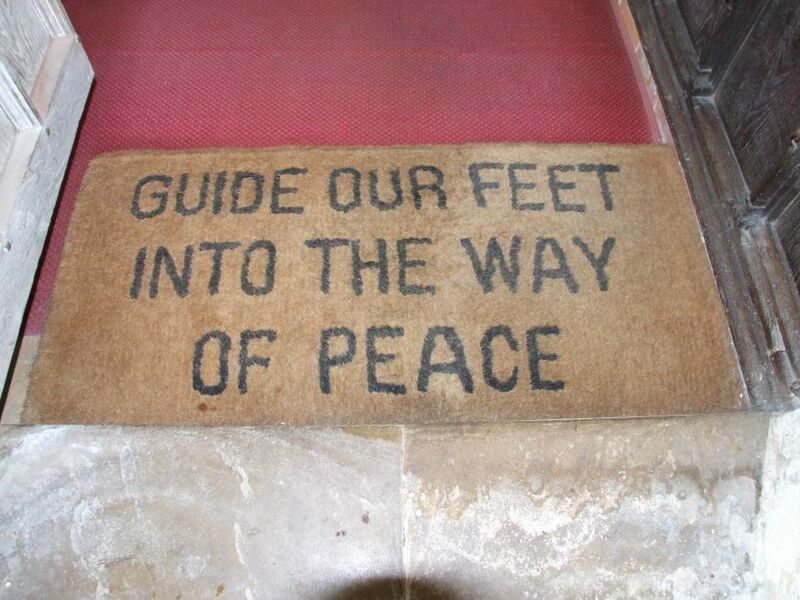 You step across a mat which asks that our feet should be guided into the way of peace, and this church is a perfect place to find that peace. You can sit in here and be the only person for a mile or more. 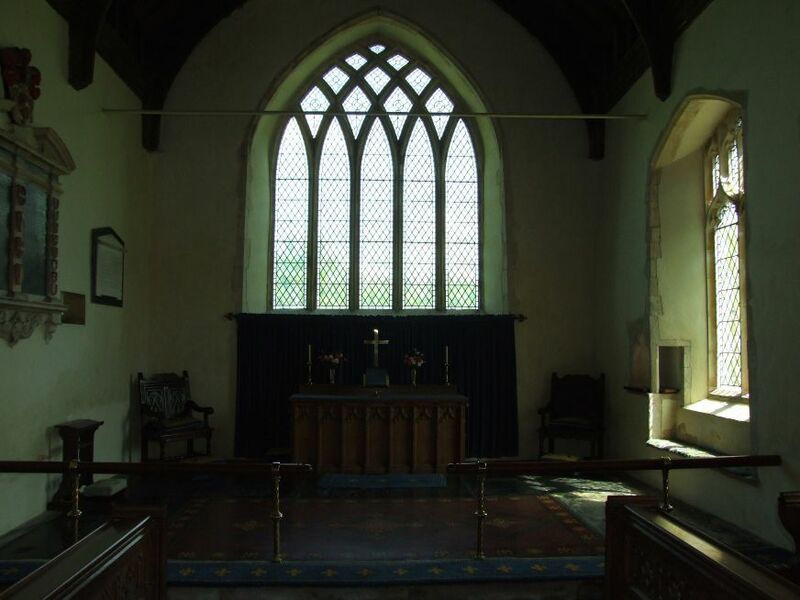 Inside, St Ethelbert is one of those beautiful, simple country churches, which have been restored enough to make them suitable for modern Anglican worship, but without the overwhelming anonymity the Victorians might have struck into it. This is a building full of light, and the light illuminates some of the most beautiful benches in the county. They are 15th century, and their bench ends have been terribly badly mutilated. 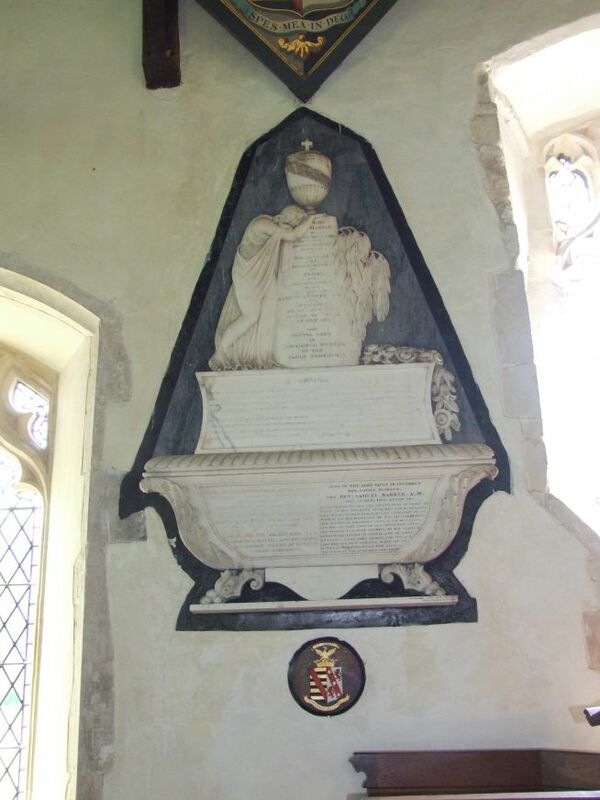 But somehow, this adds to their poignancy, and, although they are clear victims of Anglican iconoclasm, they are so smoothed that they look as if the centuries had simply melted them away. There are parts of three separate series here. Firstly, some are obviously from a set of the Seven Sacraments. Baptism is easy to spot, and its partner on the same bench is Penance. Another bench is from a series of Seven Deadly Sins. We see Avarice scooping money into a sack which hangs over the back of the bench end. Across the way is an image from yet another series, the Seven Works of Mercy. This depicts Sheltering the Homeless. Cautley thought this carving depicted Lust, but that probably tells us more about Cautley than it does the medieval imagination. 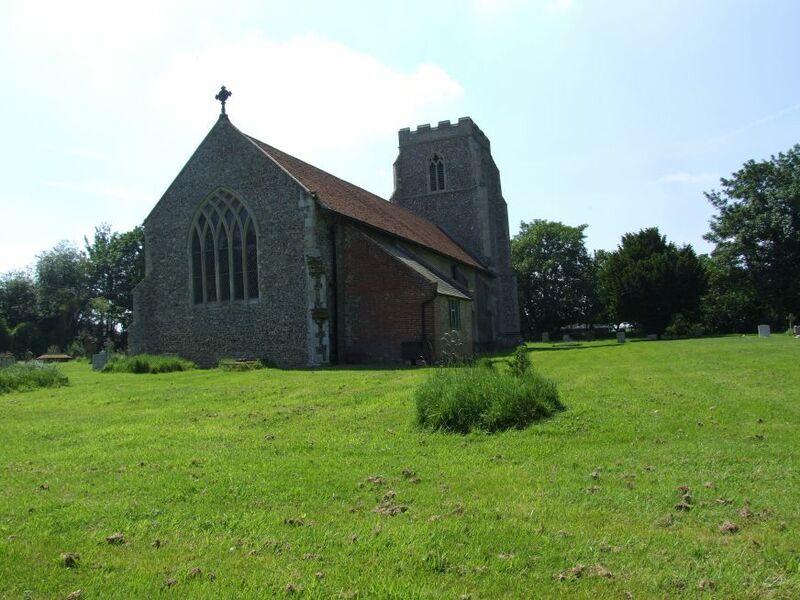 There are some benches at the back of nearby Bedingfield church which are so similar that they must be the work of the same artist, and may even have come from the same church originally. It may be that the carvings at Wilby are also from the same group. There is a beautiful creamy austerity to the nave, offset by a spectacular modern window, with local scenes including the church and Braiseworth Hall. It depicts sowing and reaping, and a verse from Genesis: While the Earth remaineth and Summer and Winter, Seed-time and Harvest shall not cease. 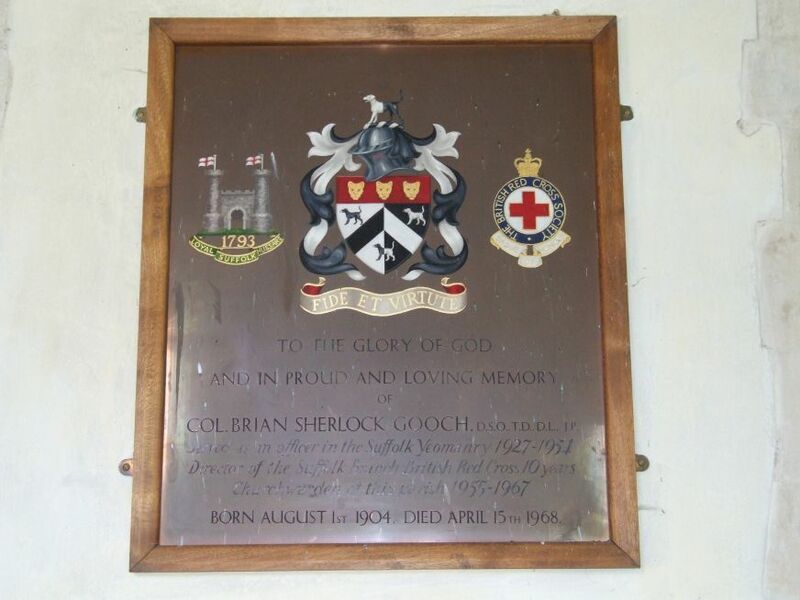 It remembers a former churchwarden, and is absolutely lovely. 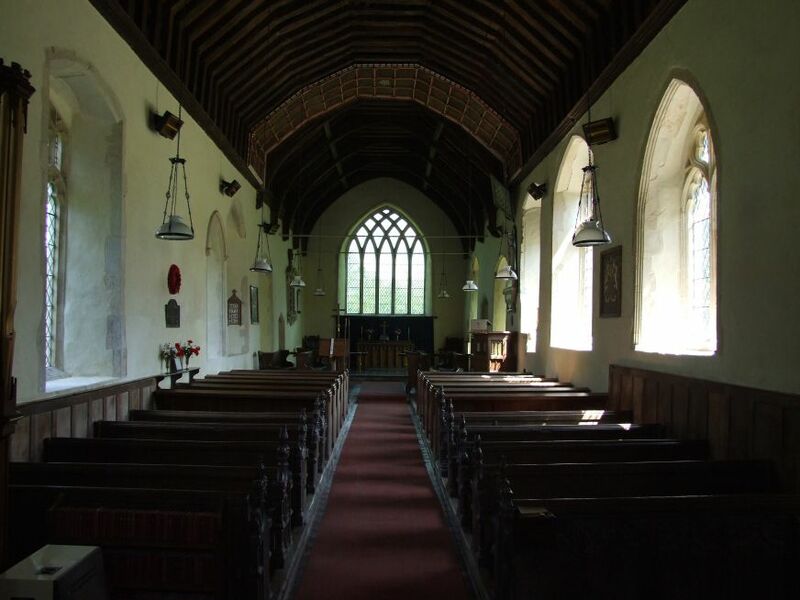 Just as the nave and chancel can be discerned externally, so they can inside by the high canopy of honour to the now=lost rood and screen, which punctuates the roof about two-thirds of the way along. 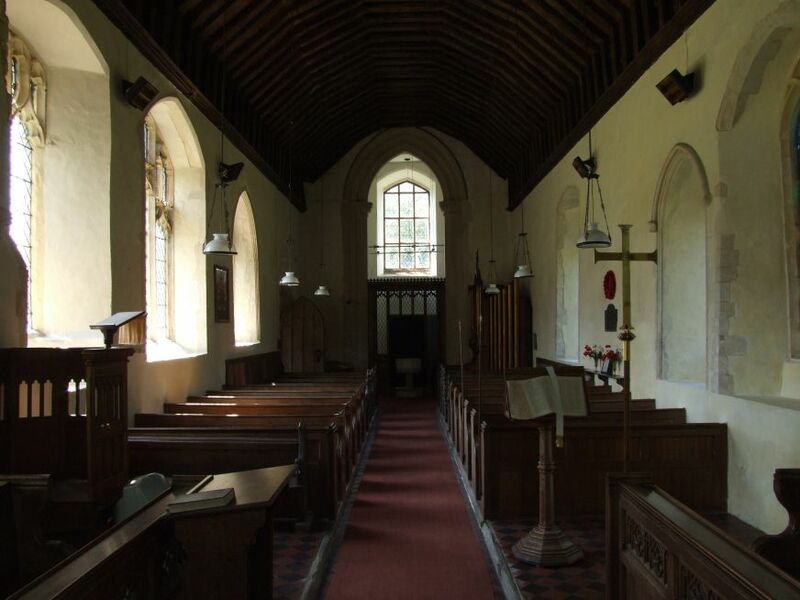 Beyond, the chancel is again simple and light. 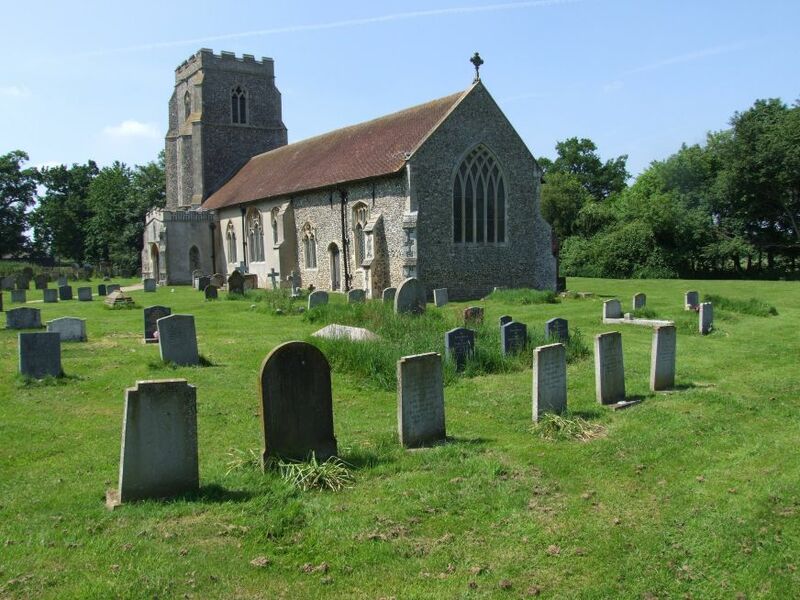 This fine church may not be as well known as many of its Suffolk companions, but it as lovely as any. 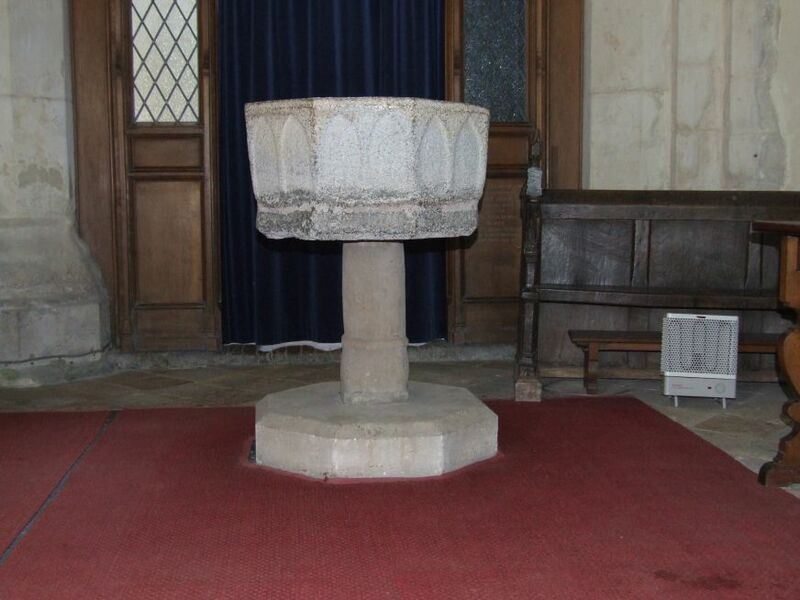 St Ethelbert has something else, even rarer than medieval bench ends and canopies of honour. 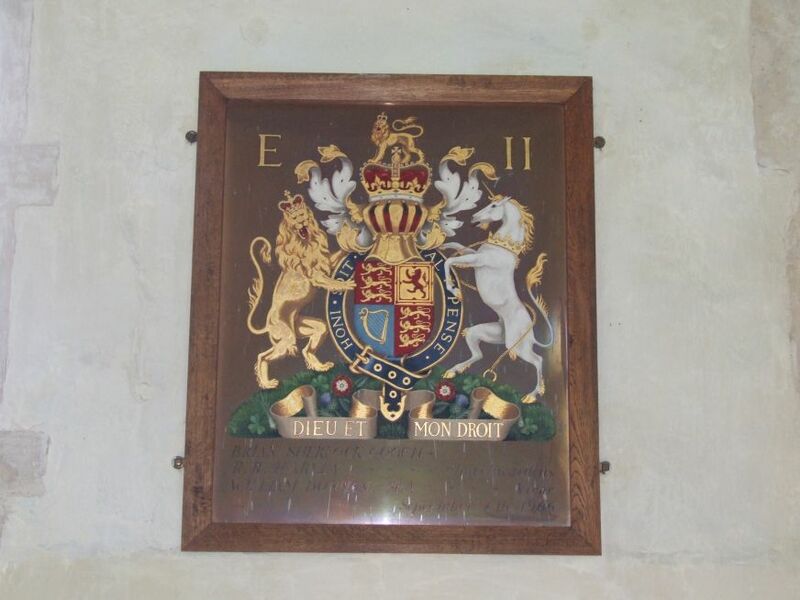 This is a Royal Arms for Elizabeth II. I recall seeing only four others of these anywhere in East Anglia. The war memorial is sweetly tended and beautiful, but in a display case to the west is a memory of one of the boys who came back, the Companions of the Great War (Framlingham branch) certificate for Private SG Crisp. In the same display are old bibles, interesting enough of course. 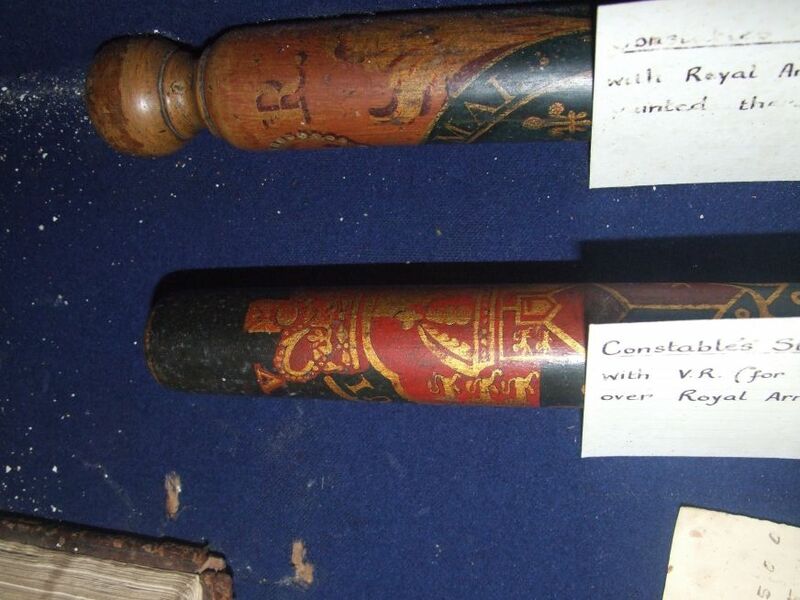 But best of all is a surviving parish truncheon, as wielded by the 19th century parish constable. Looking out across the fields from the graveyard, drinking in the deep peace of this, the heart of rural Suffolk, you can't help wondering what on earth he could have found to use it for.